The Battle of the Somme comprised the main Allied attack on the Western Front during 1916 and is famous for the 58,000 British casualties (one third of them killed) taken on the first day of the battle on 1 July 1916. The attack took place on a 25 mile front and lasted until 18 November 2016. Originally intended as a joint French-British attack, the French Commander in Chief, Joffre (below right), had conceived the idea in 1915 and intended the battle to drain German forces of reserves. The territorial gain was a secondary aim. Although he would have preferred an offensive in Flanders, the new British Commander-In- Chief, Sir Douglas Haig (below right) agreed to the plan having been granted permission by the British government, led by Asquith, to conduct a major offensive in 1916. Although the British would make up the bulk of the forces, Joffre and Haig originally intended for the attack to be a predominantly French. However the German attack at Verdun in February 1916, where the German Army Chief of Staff, von Falkenhayn promised to ‘bleed France white’, resulted in the diversion of virtually all French manpower and efforts. This transformed the intent of the coming Somme offensive with the French demanding that the planned date, 1 August 1916, be brought forward to 1 July in order to divert Germans away from Verdun to defend the Somme. Joffre handed responsibility to Haig for the planning and execution of the attack. Haig’s meticulous preparations progressed slowly which irritated Joffre. 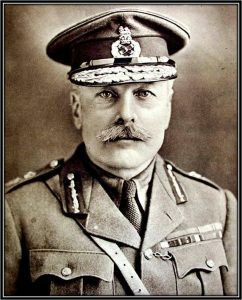 But Haig intended construct the attack around his and General Rawlinson’s ideas as Rawlinson’s Fourth army was to spearhead the assault. The attack was preceded by an eight-day preliminary bombardment of the German lines which began on Saturday 24 June. It was expected that the bombardment would destroy all forward German defences, and enable the attacking British troops to practically walk across No Man’s Land and take possession of the German front lines. In total 1,500 British guns along with a similar number of French guns took part in the bombardment. Following this bombardment, a moving barrage would precede the advancing infantry to the German front line, and onwards to the second and third trench lines. An underground network of telephone cables laid by the Royal Artillery enabled forward observation officers to monitor and correct the barrage as the battle progressed. After the bombardment, Rawlinson’s southern wing, at the centre of the attack line, was instructed to consolidate after a limited advance. The troops went into battle laden with supplies for precisely for this purpose. Meanwhile to the north the rest of Fourth Army, in addition along with 1 Corps of General Allenby’s Third Army would attempt to breakthrough, with cavalry standing by to fully exploit the any gaps that appeared in the German lines. Haig, as a cavalry officer and therefore a ‘thruster’, was convinced that the coup de grâce of the attack would best be carried out by mounted troops. Once through the German lines, the British would advance to Cambrai and Douai and in so doing, break the German line in two. In total, 27 divisions consisting of 750,000 men – of who over 80% were comprised from the British Expeditionary Force (BEF) were to go into battle. Facing them in the German trenches were 16 divisions of the Second Army and so, the odds were stacked heavily in the attacking force’s favour. However, the artillery bombardment failed to cut the German front line barbed wire or destroy the deep German bunkers and dugouts. Much of the munitions used by the British proved to be ‘duds’ and did not explode. To this day, farmers of the Western Front uncover many tons of unexploded munitions and it is known as the ‘iron harvest’. Throughout the bombardment, the Germans sought shelter in their deep bunkers and emerged only when the British bombardment had ceased. It is then that they began to man their machine guns with great effect on the advancing British infantry. The attack began at 07:30 on 1 July with the detonation of 17 mines. The first mine was actually detonated ten minutes early at 07:20. 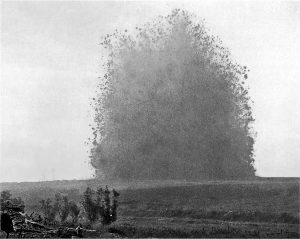 This detonation is still visible today in the shape of the Hawthorn Crater. It was captured on film by official war photographer Geoffrey Malins. The first wave went over the top along the front line stretching from Gommecourt in the northern sector to the French left flank east of Maricourt. The failure of the bombardment to cut the barbed wire and penetrate the German bunkers meant the attack made very little progress. It also came as no surprise to the German forces. Besides being freely discussed in French coffee shops and in letters home from the front, the chief effect of the eight-day preliminary bombardment served merely to alert the German army to imminent attack. Also the Germans had captured Allied soldiers in a series of trench raids and these soldiers gave over more information than just their name, rank and number. In addition, the Germans had a series of underground listening posts on the Somme where listening devices called ‘Moritz Machines’ picked up telephone conversations. The 30th and 18th divisions in the southern sector,, situated on the extreme right flank, proved the most successful taking all of their objectives. Here the German defences had not been prepared as well as elsewhere. More success was achieved by the French forces at the southern end of the line, possibly because their advance bombardment was sprung only hours before the attack which gave a degree of surprise. 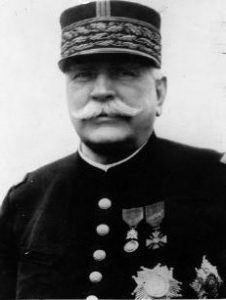 Also, von Falkenhayn believed that the French would not attack on account of their heavy losses at Verdun. By advancing in small groups, as they had at Verdun, the French troops achieved most of their objectives. Even so, the gains made here were consolidated upon rather than exploited and, for the most part most part, the British troops were forced back into their trenches by the effectiveness of the German machine gun response. Many of the first wave were killed or wounded the moment they stepped out of their trench into No Man’s Land. They walked, as they had been told to, laden with supplies, slowly towards the German lines in the belief that there would be no opposition and made easy targets for the German machine gunners. Losses during the first day were 58,000 British troops alone. But despite this, Haig persisted with the offensive. Advances were made, but these were limited and often repulsed. Rawlinson’s forces secured the first line of the German on 11 July. On that day, German troops were transferred from Verdun to contribute to the German defence and doubled the number of men available for the defence. By 19 July, the Germans had re-organised their defences with the southern wing forming the new First Army, under von Gallwitz who took overall responsibility for the conduct of the defence of the line. Haig was convinced, as were the Germans, that the enemy was on the point of exhaustion and that a breakthrough was imminent and so the offensive was maintained throughout the summer and into November. During this time the British saw few victories. However, Pozieres was captured by two Australian divisions on 23 July. Haig was bouyed by the use of tanks and renewed attacks in this area again between 25 and 27 September launching the battles of Morval and Thiepval Ridge. British advances were small, but were consolidated upon. Other attacks were launched by the British at the Battles of Transloy Ridges (1-20 October) and the Battle of the Ancre Heights (1-11 October). Similarly French attacks were continued in the south around Chaulnes, and in the centre east of Morval. In October, Joffre urged Haig to continue the offensive. By this time the French forces in Verdun were on the offensive and were gaining ground. Joffre was concerned that Haig should keep up the pressure on the Germans so as to prevent a diversion of German manpower back to Verdun to assist with the German defence there. On 13 November, the BEF made a final effort on the far east of the salient in the Battle of the Ancre, in which they captured the field fortress of Beaumont Hamel. 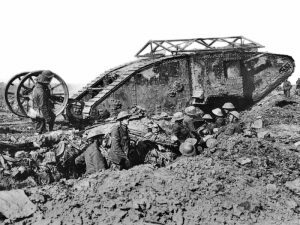 Despite the slow but progressive British advance, coupled with poor weather, brought a halt to the Somme offensive on 18 November. 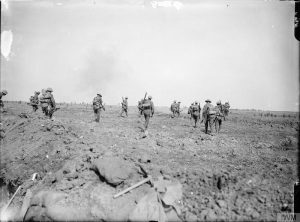 During the attack, the British and French had gained 12 kilometres of ground but the taking had resulted in 420,000 estimated British casualties, including many of the volunteer ‘pal’s’ battalions. Coupled with this, the French had suffered 200,000 casualties. German casualties were somewhat massaged. British estimates to be around 500,000 but it are more likely to be in the region of 280,000. Sir Douglas Haig’s conduct of the battle caused, and still causes, much controversy. Critics argued that his inflexible approach in which he merely repeated flawed tactics, caused unnecessary casualties. Others argue that Haig’s hand was forced in that the Somme offensive was necessary in order to relieve the French at Verdun. The debate goes on to this day. 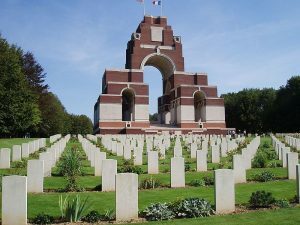 Pictured is the Thiepval Memorial to the Missing of the Somme, a war memorial to 72,246 missing British Empire servicemen who died in the Battles of the Somme, with no known grave. For more details of our three day Somme battlefield tour click here. 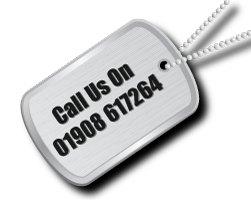 Or visit both the Somme and Ypres on our four day battlefield tour click here for more details.